With over 100,000 artifacts from all eras of ancient Egypt, the dusty halls of the Egyptian Museum can be confusing to navigate. Head straight to the highlights—such as the golden treasures of the boy king Tutankhamun—and learn all about their rich heritage on this private tour with an Egyptologist guide. For maximum ease, your tour includes door-to-door round-trip private transfers from Cairo or Giza hotels. 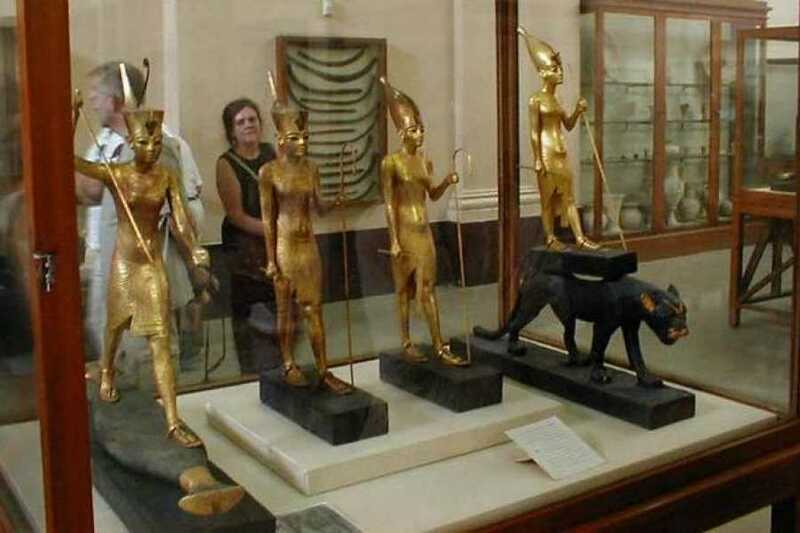 Start your trip to Egyptian Museum at ( 8:30 am or 9:30 am or 10:30 am or 11:30 am ) you will find your tour guide waiting with a sing of your name at the lobby of your Hotel in Cairo or Giza, Then move in air conditioned vehicle and drive into the Egyptian Museum and travel back in the time about 3000 years our knowledgeable tour guide will you through different periods of ruling time of the pharaohs there are over than 320.000 original piece of art along the Museum don't miss the Golden treasures of the boy king called king Tut. There is availability to buy photography ticket for extra cost or if you want to get entry ticket to the Royal mummy room for extra cost then end your Half day trip we will transfer you back to your Hotel.